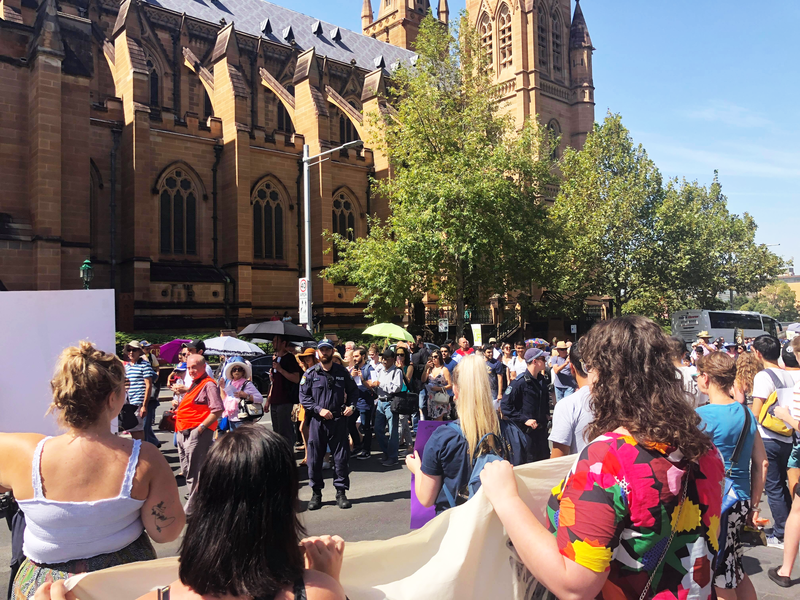 A few hundred students and pro-choice activists gathered outside St. Marys Cathedral in Sydney’s hyde park on Sunday morning to counter-protest the annual Catholic pro-life march, ‘Day of the Unborn Child’. 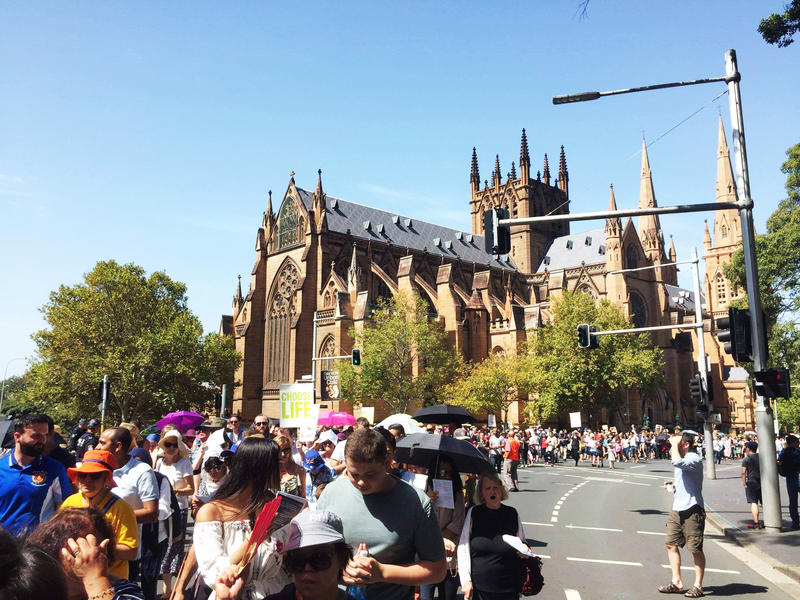 The Day of the Unborn Child march was organised by the Life and Family Institute in Sydney. The international day of the unborn child was established by Pope John Paul II, after the first celebration occurred in 1993. 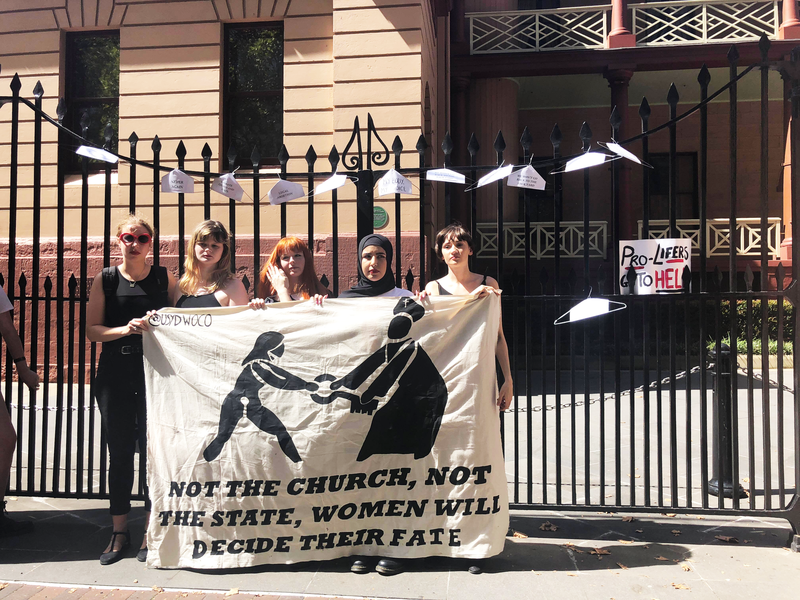 The pro-choice rally hosted by the University of Sydney’s (USyd) Wom*n’s Collective (WoCo), the counter-protest was staged to oppose the Catholic event, and more broadly call for legal, safe and free abortion in New South Wales. While there was a nation-wide move to legalise pregnancy termination, NSW is the only state in which abortion is still a criminal offence. Abortions can only be accessed in NSW when a doctor finds any economic, social or medical reasons to justify aborting the fetus. Otherwise, abortion is unlawful under the state’s Crimes Act. Several speakers noted the timeliness of the protest, the day after the NSW Liberal Party were re-elected. Wom*ns Collectives from the University of Technology, Macquarie University, University of New South Wales (UNSW) and University of Newcastle (UoN), as well as representatives from the National Union of Students (NUS) also made up the 200-strong pro-choice rally. 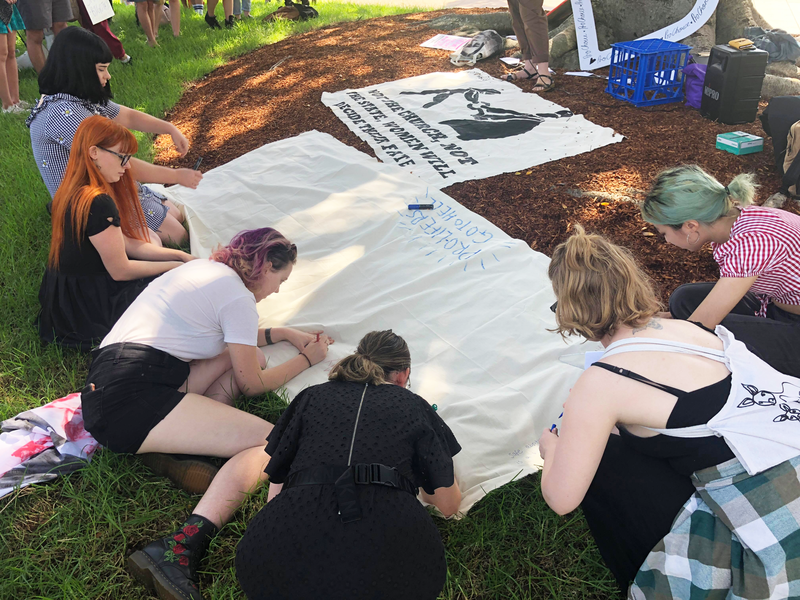 WoCo convenor Jazz Breen expressed her concern for the illegality of abortion, “abortion is a medical procedure — a safe, necessary and lifesaving medical procedure. Without the legalisation of abortion those who need one will only turn to unsafe abortions,” she said. Speakers were invited from all represented factions. Wiradjuri brother-boy Hayden Moon addressed the importance of abortion access to both the disabled community, and Aboriginal and Torres Strait communities. “Many people with disabilities who have the ability to get pregnant, are often unable to continue the pregnancy. Pregnancy in child birth can cause life threatening complications to disabled people and cause dramatic effects to the parents and the child,” they said. The pro-life procession marched out of St. Mary’s at 12:30 pm singing Catholic hymns, where they were met by the pro-choice rally. The pro-life event planned to proceed through Sydney’s CBD towards NSW Parliament House, where they were to address the crowd opposite an abortion clinic. The counter-protest had also planned to march towards NSW parliament house following the pro-life parade. Despite these plans being confirmed with police prior to Sunday, the counter-protest was forcefully blocked by police for 30 minutes to ensure there were no further encounters between the two groups. Last year, riot police and officers on horseback clashed with pro- choice protesters during their counter protest.